The much-anticipated Ferrari 458 Italia Spider is set to debut at the 2011 Frankfurt Auto Show in September. The speculation concerning the new Ferrari 458 Italia Spider hit a crescendo over the past few weeks. The music can die down a bit now, with the new rendering and details gathered this week. A cloth roof for the Ferrari 458 Spider is definitely out, according to PistonHeads. This moves away from its predecessor the F430 Spider. 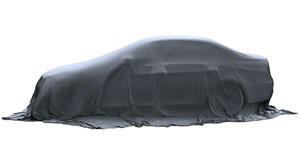 A heavy and bulky hardtop has also definitively been ruled out. As the only Ferrari convertible offered at the moment, the California has a folding metal roof. The Spider will change with a new glass/metal sliding roof that will slide down behind the seats when stowed. The biggest drawback from that system is the roof covering a clear engine cover. I mean, who doesn&apos;t want to constantly see their 562hp 4.5-liter V8 engine. The Ferrari 458 Italia is scheduled to make its first appearance at the 2011 Frankfurt International Auto Show in September. Pricing for the coupe begins at $225,000, so you can expect the Spider to be more expensive. Rendering courtesy of wild-speed via Teamspeed.